The recent spike in the number of new Ebola cases in Sierra Leone has demanded a renewed sense of urgency to try a different approach in tackling the virus. But as yet, there are no signs of a change in policy or direction. 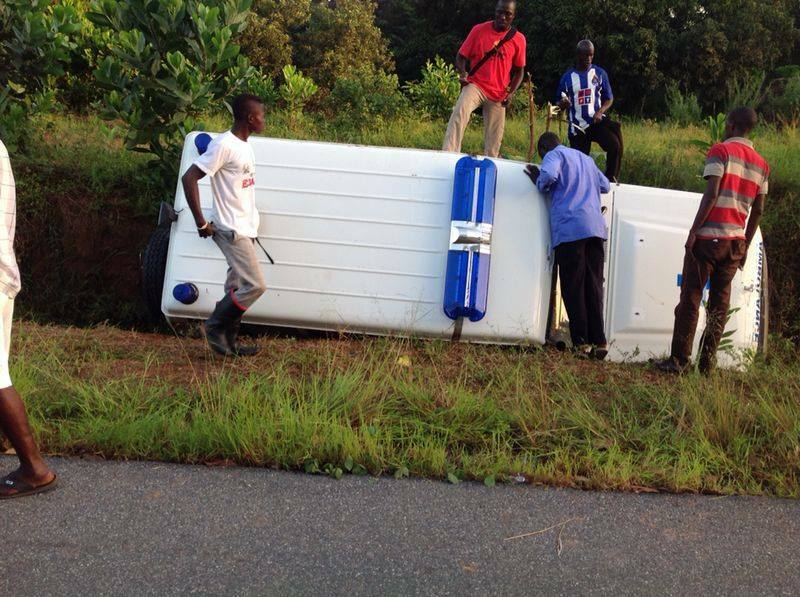 (Photo: One of several Ebola ambulances that have been involved in road accidents). The newly formed, military led National Ebola Response Centre (NERC) is proving woefully inept in managing the crisis. What you get from the military leadership of the NERC is nothing short of macho bravado – all brawn and no brainer response to the crisis. The Koroma government of Sierra Leone has to do more, if it is to contain and eradicate Ebola. And president Koroma himself has to show better national leadership, than simply rebuking his uncle – a northern local chief, ironically, for seemingly failing to provide leadership to people of his chiefdom. 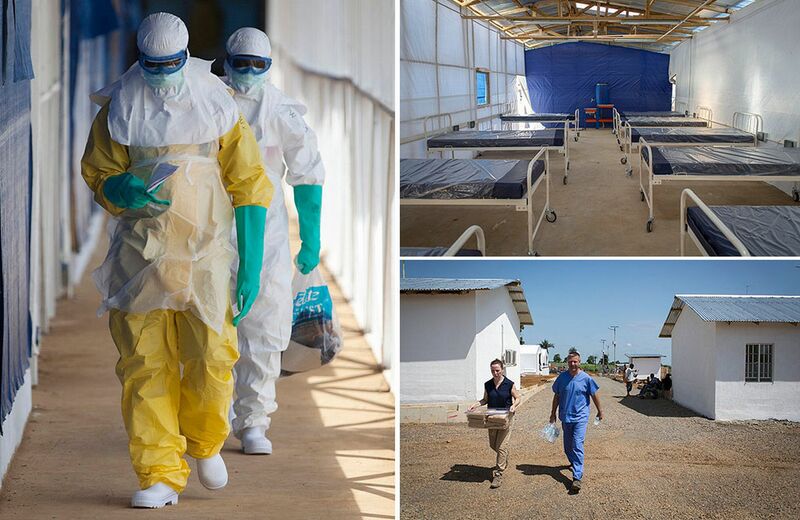 There are less than 400 treatment beds in Sierra Leone. With an average weekly number of new cases now topping 300, it is obvious that most of the sick are either being turned away at treatment centres or painfully dying at home – accelerating the cycle of Ebola transmission in the country. 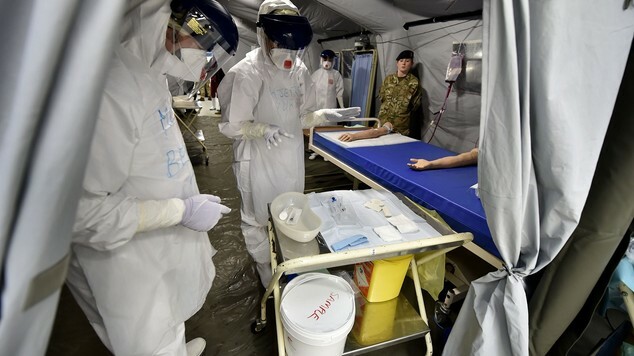 Today, more than 30 British National Health Service (NHS) staff arrived in Sierra Leone to join the military contingent of medical staff that is already hard at work in the country, helping to treat the ever growing number of Ebola sick people. 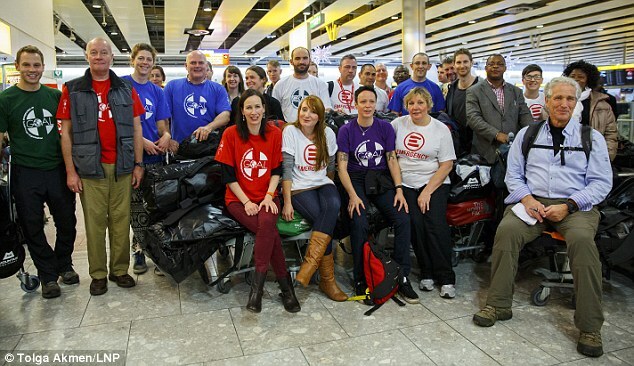 According to the UK International Development Secretary Justine Greening and Health Secretary Jeremy Hunt, this newly arrived group of British civilian medics are the first group of NHS volunteers to be deployed in Sierra Leone since the outbreak of the virus. The NHS team of medics include GPs, nurses, clinicians, psychiatrists and consultants in emergency medicine. But after the death last week of two Sierra Leonean doctors in two days, steps are being taken by the British authorities to ensure that this contingent of NHS medics receive additional training in Freetown, before they are posted to the various treatment centres across the country. They will work in treatment centres built by British Army Royal Engineers and funded by the Department for International Development. 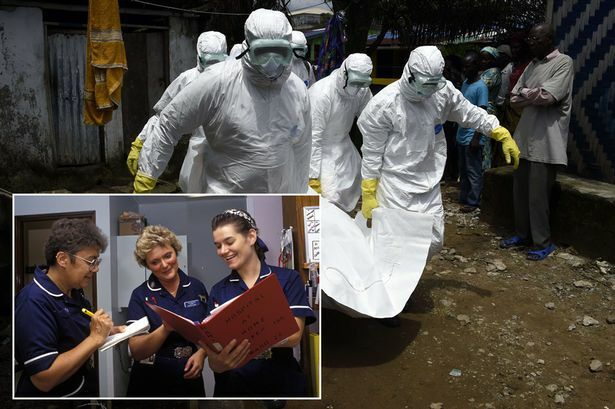 Commenting on the arrival of the NHS medics in Sierra Leone, UK International Development Secretary Justine Greening said: “Our fight against Ebola in West Africa is one of Britain’s biggest responses to a disease outbreak. 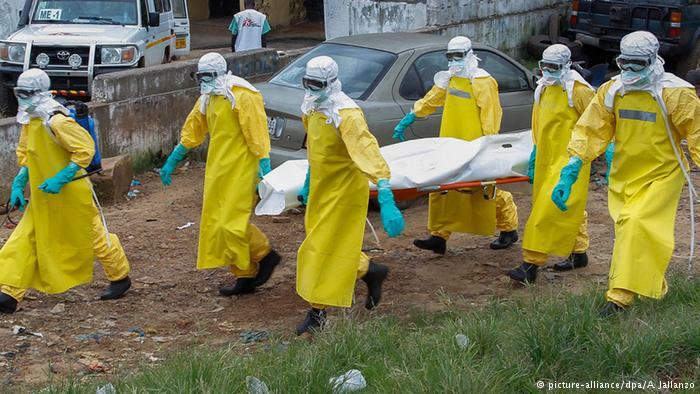 Almost a thousand military personnel, scientists, healthcare and aid workers are already on the ground in Sierra Leone working to contain, control and defeat this terrible disease. Before embarking on the six hours flight to Freetown, the NHS medics have undergone an intensive nine day training programme at a specialist built military unit in York – the north of England. Environmental and weather conditions at the training unit, where simulated to conform with those the medics would be expected to experience in Sierra Leone. This week, the NHS medics will also join other international healthcare workers to undergo another intensive training funded by the UK, to ensure they are equipped with the skills to safely treat and contain Ebola. Before setting off for Freetown, Donna Wood, Senior Sister at Haywood Hospital, Staffordshire and Stoke-on-Trent Partnership NHS Trust, who also arrived with her NHS colleagues said: “I’d been following the stories on the news so when I saw an email from the NHS highlighting the Ebola situation in Sierra Leone and calling for volunteers I felt I had act. I knew I could use the skills I’ve got to make a difference and join a team to help bring the disease under control. According to the British authorities, the British built Ebola treatment centres – once completed, will triple Sierra Leone’s bed capacity, bringing the total number of DFID-supported beds to more than 700, and will help about 8,800 patients in the next six months. The British built treatment centre at Kerry Town, which is being run by Save the Children, was opened two weeks ago with an 80 bed capacity. But reports from Freetown say that less than 20 of those beds are currently occupied. A total of five additional treatment centres will be constructed by the British military by the end of the year, in various districts across the country. The deployment of the first group of NHS medical volunteers is part of wider UK efforts to control, contain and defeat Ebola. So far the UK has committed £230 million to the response in Sierra Leone. The UK government says it is providing vital supplies such as chlorine and protective clothing for thousands of health workers; constructing about 200 Community Care Centres where people who suspect they might be suffering from the disease can seek swift and accurate diagnosis and appropriate care; building, running and staffing three new labs in Sierra Leone to help check the spread of the deadly Ebola virus, quadrupling the number of tests that can be carried out every day; supporting charities on the ground to work with people to agree practices which will allow them to honour their friends and relatives, while ensuring bodies are safely buried. It also says that it’s doubling the number of burial teams in Freetown – and providing twenty more across the country. With UK support IFRC burial teams in Sierra Leone’s western area, which accounts for approximately a third of the country’s population, are now burying 100% of reported bodies within 24 hours; supporting the government of Sierra Leone’s command and control capability – at the national level through support to the National Emergency Response Centre (NERC), and supporting the roll out of District Level Command Centres (DCCs) in high transmission areas. 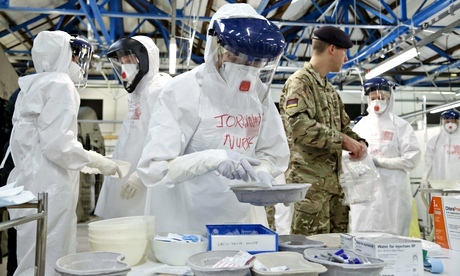 By early 2015, the British government says that more than 800 Ministry of Defence personnel would have been deployed in total to help with the establishment of Ebola Treatment Centres and the Ebola Training Academy. Last month saw the deployment of one of the UK’s largest military ships – RFA Argus, along with three Merlin helicopters that are actively helping to ease the Ebola logistical bottlenecks. But when are Sierra Leoneans likely to see a significant reduction in new Ebola cases?